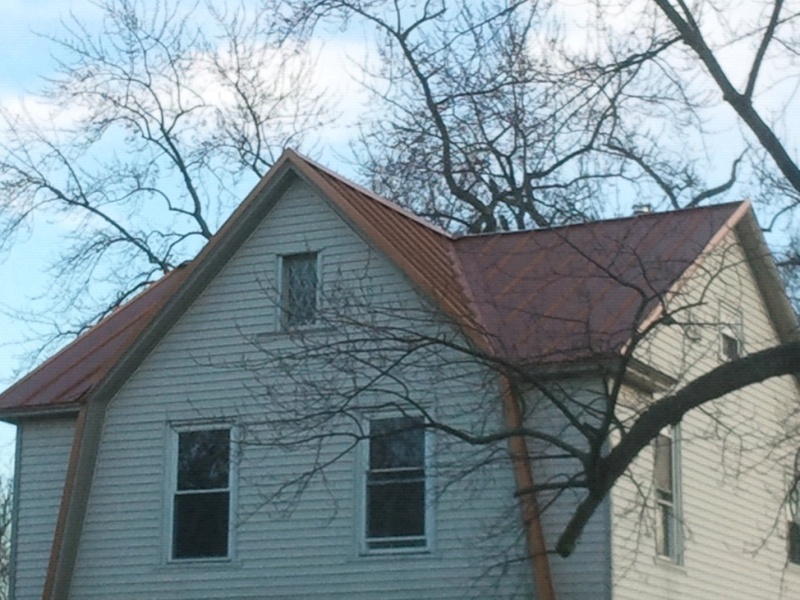 Home » Forum » Trade Talk » Roofing » Why Do They Lie? Re: Why Do They Lie? Ouch. You gonna stoop to their level? It isn't stooping. I don't care because I have jobs going on. This guy was mad because he has no work. I follow the regulations. If you follow them, it shouldn't matter if OSHA is called. I thought on that one job, it wouldn't be a problem. Then they took out a tape measure to measure if the ladder was extended far enough. I really am curious on this. How would you have reacted if the guy, the roofer, down the street had come down and introduced himself and offered you guys some coffee (or soda if it were hot). this is of course instead of calling OSHA.. I would have said thanks, we appreciate. What is your name and name of your business so I can look into sub contracting work to you if you aren't too busy. I did 50 some roofs for wmc, I don't have A&E magnets because I don't have a builders liscense, therefore I am very limited on the jobs I can take, turning my leads over works in everyones favor. Do you want a sub on your job with their company name all over their truck? I operated that way because a couple years ago I was told get comp and start a crew or no more paychecks for me. Whatta ya do? Yes, that is what a sub is. The way you are operating is illegal here and I wonder how your insurance works being you have another entities name on your personal/company vehicle. If I hire a plumber or electrician or a framer, I expect him to have his own company name on the truck, not mine. The way you are operating, you are an employee but not being treated like one. Subs work for more than one contractor, if not, you are not a sub. You talk to much about stuff you don't have all the details for, I did multiple jobs for 5 contractors in 2011. The way I operaed is 100% legal here. My primary contractor was not the one who told me to get comp and start a crew, that guy was quickly phased out. So if you own "joes roofing" and sub. Job to someone else, you want a "freds roofing" truck. Complete with freds phone number parked out front. Last edited by A&E Exteriors; 01-19-2012 at 03:20 PM. Yes, and in that case "joe's roofing" is the contractor and Fred is the sub. And IMO "Joe's Roofing" is not a roofing company. They are a Contractor who contracts work to fred's roofing company. Here, if you are a roofer or sider, you must be licensed or be an employee of a licensed contractor. I'm not sure what you mean about "talking too much about what you don't know". I know the rules and abide by them. Not many do, and that is the reason why prices fall every year. I don't blame you personally. You are doing what you have to do. Those GC's are simply taking advantage of loop holes and calling themselves exterior contractors. Our company has been a sub many times. We have license and insurance. Our company name and numbers are on our trucks, shirts, jackets. We are a legal sub. Most of our work is our own work though. Like I said, does any other sub in any other field have another companies name on their truck? No. How do you sub for other companies with another GC's name on your truck? My advise, get a license, become your own entity, and make some real money. You are the one with the talent, the know how, the tools, and willing to work. Don't make an office jockey rich with your labor. I take the magnets off. Around here a few compnies have a sub use the magnets, I had his because I saw them in his office and asked for them. It is good for me if who I work for gets more work and if anybody got it i'd prefer he get it beings it usually goes to me. I had OSHA called on me twice this year because I was working on the same street as where other roofing company owners lived. First time they got me for $2400. Yes, that is how much it costs to ONLY have one infraction and that infraction being a ladder only extending two feet past the gutter line instead of three. The second time was nothing, mainly because of the first time. I'm all for being safe, but when some one calls in on you it just shows you what kind of person they are (power tripping SOB). Sorry to hear about that....I've had a similar incident myself and I know it really chapped my arse. I found out it was another contractor that was bitter that he/she didn't get the job. If he is a lier why are you bothered. Id be glad not to work for him. I'm pretty sure I covered that already. Remember, if you keep the mindset that God only allows the best to come to you then everything you lose will be for a reason. I have lost quite a few this season to Storm chasers or other roofers/junkies/day laborers.... lol ....and in the end because I knew I did my part in educating the customers and making sure they understood quality from crap and that anyone CAN'T put a Roof on I have continued to soar and exceed my goals. I have to say some of the folks that chose another competitor would sometimes call to apologize and even send me referrals because they knew they've mad a mistake by not hiring my company. I figured it out, he definatley did not get a cheaper price. They seem to be moving along. Because he lied to us, he didn't say he was going with a steel roof instead. He said he wanted us to do the job in spring, and 2 weeks later I came home to this. He lied, but he's the one who doesn't want to look across the street, doesn't bother me at all. It took them 3 1/2 weeks t do the job. I hate when a profitable job becomes a charitable write off. A couple months later didn't hear from him in terms of getting the insurance check and wanting to schedule so figured it was time to call him. 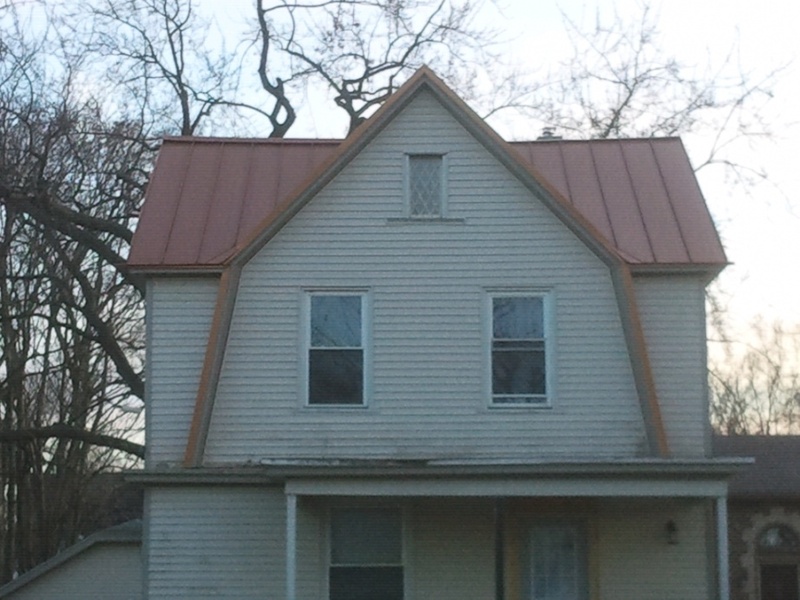 When asked about doing his roof he simply said, "the neighbor kids did it". Who has "the neighbor kids" roof your million dollar home??? I would have rather had him not lie to me like a little kindergarden kid and just tell me another roofing or contracting company did it. This job was approved for $46K, roof only. This is an unfortunate fact of life..People will use you to bid for the lowest price.....however he will get what he paid for and that is his karma coming back around....A Roof should never be one of those things that you try to find the cheap cheap price for....it protects everything you hold valuable under it.....I see more butcherings call Roof installs when I do roof inspections here in the Charlotte NC area than I've ever seen in my life.........any jerkoff can swing a hammer but it takes know how and education to install a roof or anything properly.